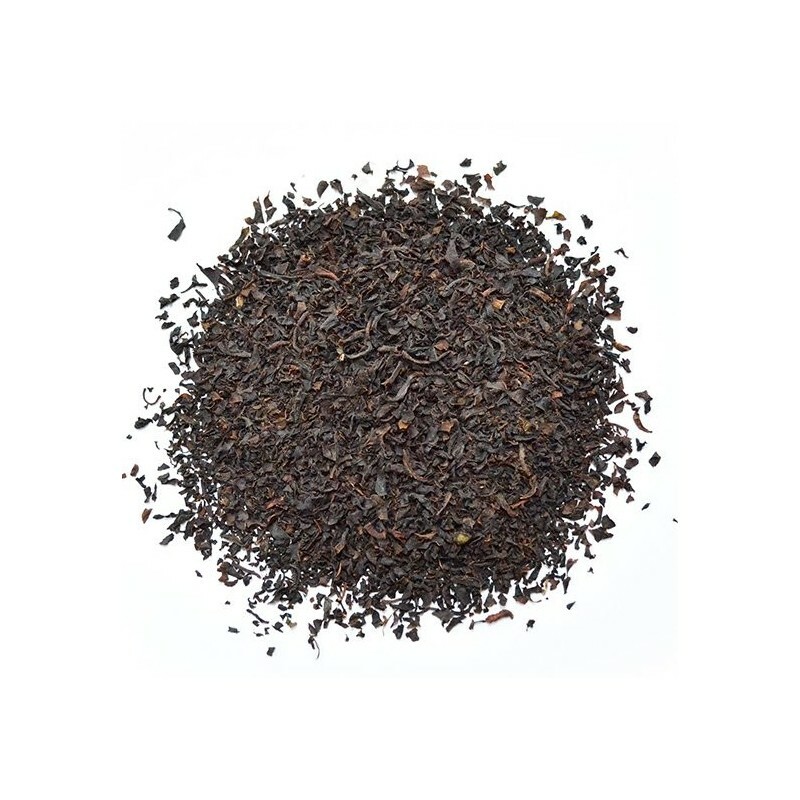 Organic and fair trade, this pure Ceylon English Breakfast tea is grown high in Sri Lanka and comprised of a blend of small and mid tea leaves. 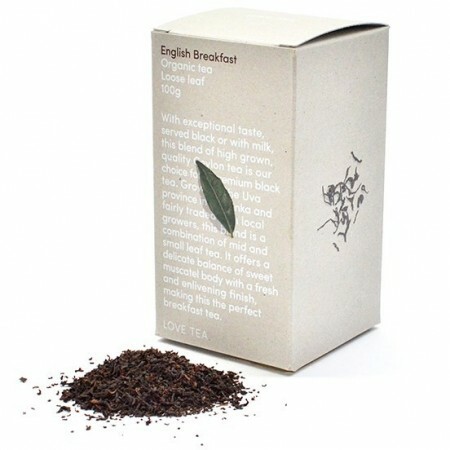 A traditional English Breakfast offering a delicate balance of sweet muscatel with a fresh finish. Prefect with your choice of milk or without. 100g of loose leaf tea. 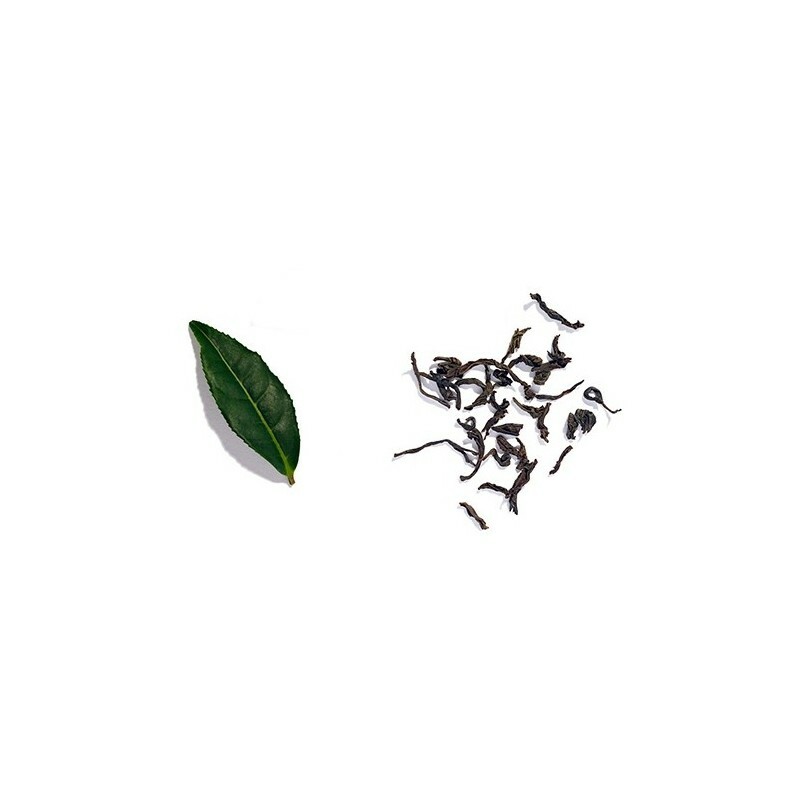 Pure loose leaf Ceylon tea. Perfect for with milk or black. Place a heaped teaspoon (2.5g) of tea per cup (250ml) into a teapot or infuser Add filtered water at 75ºc–85ºc. Allow to infuse for 3–4 minutes, and then remove the bag and serve. Add milk or sweetener if desired. 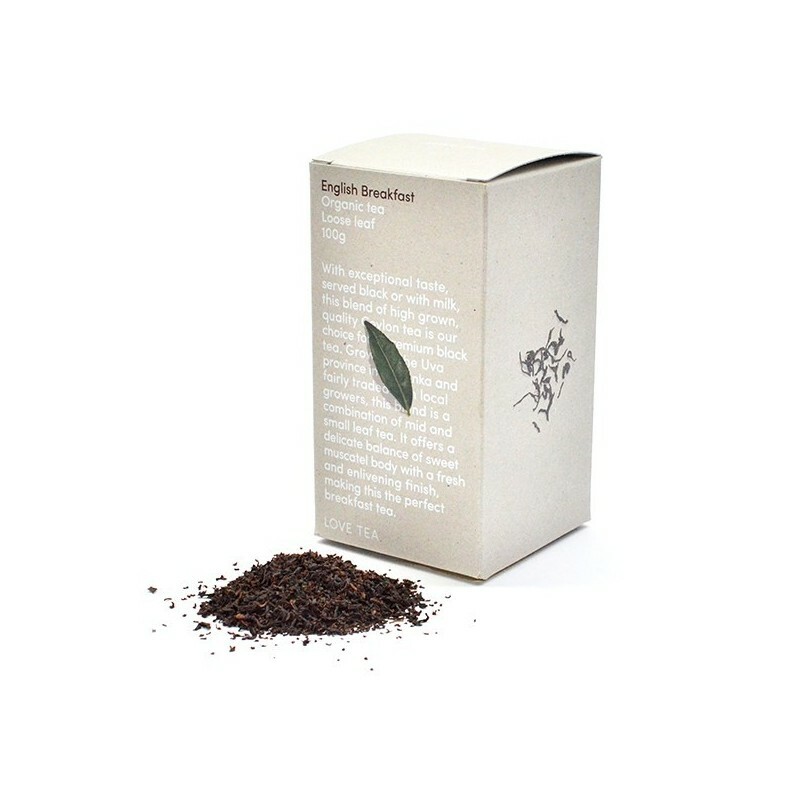 Certified Organic Ingredients: Ceylon black tea. * *Fair trade ingredients.